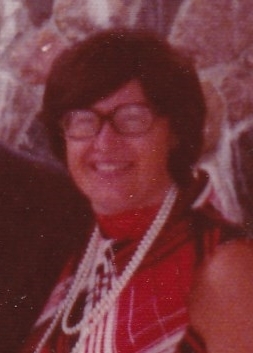 Obituary for Phyllis Linder | Esterdahl Mortuary and Crematory, Ltd.
Phyllis L. Linder, 88, of Moline, passed away on Wednesday, February 6, 2019 at Heartland Health Care Center in Moline. Visitation will be on Friday, February 8, 2019 from 3-5 p.m. at Esterdahl Mortuary & Crematory, Ltd., Moline. Private burial will be at Rock Island Memorial Park at a later time. Phyllis was born on October 19, 1930, in St. Paul, Minnesota, the daughter of Charles A. and Edythe M. White Reed. She married Donald Edwin Linder on September 14, 1957 in St. Paul and he preceded her in death on February 27, 1968. Phyllis was previously employed as an accountant for the Rock Island Arsenal Country Club. She is survived by her sister, Cheryl (Larry) Dulude, Ortonville, MI; nephew, Nicholas Gazzarari, Waterford, MI; niece, Christina Hall, Grand Blanc, MI; nephew, Rodger Reed, Clarkston, MI; and nephew, James (Bethann) Reed, South Bend, IN. She was preceded in death by her parents, brother, Charles A. Reed, II, sister-in-law, Emma Jane Reed, niece, Charlene Trerice, and a nephew, Charlie Reed. Online condolences may be left on the tribute wall.